The Homeschool Buyers Co-op is pleased to present GroupBuy savings for Dyslexia Gold's reading and spelling programs for children in Grades K-9. Members can enjoy a month to month subscription for only $26 per month for a single student license. Save 20% when purchasing the Dyslexia Gold Screening Test. spell around 90% of everyday words, that’s over 1,000 words! It all starts with vision training games. These train your child's eyes to focus on the same letter and then track across the page. Say goodbye to 'fuzzy letters', 'dancing words', reversing letters and skipping words. Next, they'll play fun, interactive games that teach them to hear the sounds that make up words. Then, once your child is ready, it’s time to learn spelling. The program teaches them to spell 90% of everyday words. 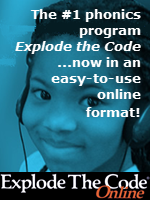 Visit the Dyslexia Gold website for more information. Watch the video at the top of the offer page. 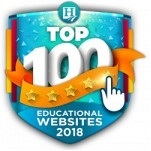 Read an online Teacher's Guide to Dyslexia. Review this free Homeschoolers Guide to Dyslexia pdf. 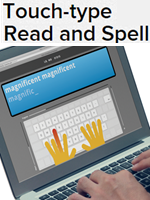 Try a 3 day trial of Spelling Tutor. Fulfillment: Within 15 minutes of receiving your order, the Co-op will publish a 100% off coupon code that you can use to get your subscription at the Dyslexia Gold website for no additional charge. This happens automatically. Simply sign into your Co-op account and look for "Dyslexia Gold" on your "My Subscriptions" page for instructions and a link. Shipping: Not applicable for online subscriptions. Within 3 business days of registering for your paid subscription (see Fulfillment section), Dyslexia Gold will ship you a pair of 3D glasses, from the U.K., at no additional cost. Please allow ample time for delivery. Returns/Cancellations: Yearly Subscribers: If you are not completely satisfied with Dyslexia Gold, you can request a full refund within 30 days of the date of purchase. Submit your cancellation request at our Contact Us page. Month to Month Subscribers: If you are not completely satisfied with Dyslexia Gold, you can request a full refund if you do so within 30 days of the date of purchase. After the first 30 days every monthly charge is non-refundable. Dyslexia Gold Bundle Monthly Subscription for a Single Student. NOTE: If you would like to order a month-to-month subscription for another student, please place a separate order. The Dyslexia Gold Bundle is for children who find reading or writing hard, or who have dyslexia. The Dyslexia Gold Bundle teaches them to read and spell. 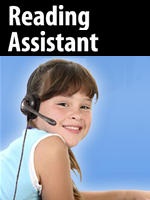 It improves reading fluency, accuracy and comprehension. Engaging Eyes: If your child loses their place when they read, reverses letters or words or reads slowly, then chances are they have a vision problem. Engaging Eyes contains vision training games to help your child focus both eyes on the same letter and then track across the page. Fluency Builder: Children with reading difficulties have poor phonological awareness - they can't hear the individual sounds in words. 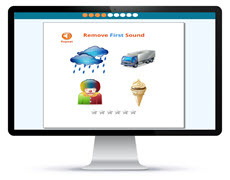 Fluency Builder contains 50 lessons to improve your child's phonological awareness, which is a crucial skill for reading. 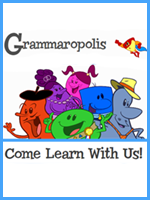 Spelling Tutor is a personalised spelling program, based on your child's mistakes. Working at your child's pace, it teaches around 90% of the most commonly used words. Times Table Tutor: Currently available for free in the Dyslexia Gold Bundle, Times Table Tutor uses Lego and repetition to teach children their times tables. With a month-to-month subscription, you pay for one month at a time. Your subscription will continue until you cancel, which you can do at any time. Please carefully read the "Payment" section of the Terms & Conditions for details. The Dyslexia Gold Online Screening tests for key indicators of dyslexia. It is quick and easy, and can be played at home. At the end of the test you will be emailed a comprehensive report outlining your child's weaknesses and how you can help.